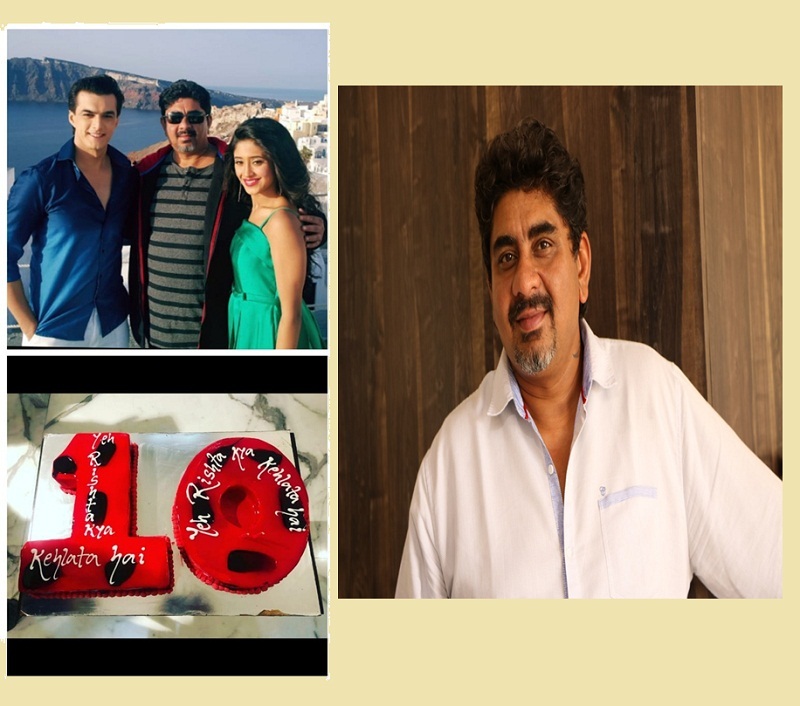 Rajan Shahi’s Yeh Rishta Kya Kehlata Hai has completed a decade and the producer could not be prouder. 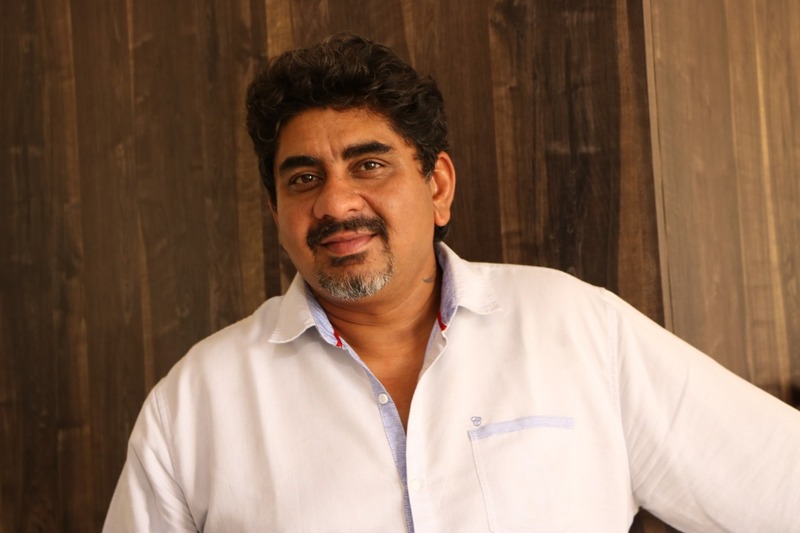 In a candid chat, he talks about the show, what it means to him and the secret to it running successfully for so long. > 10 years, 2830 episodes… what makes us unique is that we have been the longest running GEC in terms of episodes. Honestly, it doesn’t seem ten years because I just see this time period as becoming 10 years younger. From the first day of the shoot, to date, we have had a very committed team who believed and stood by the show. They like to give their best each and every day to Yeh Rishta Kya Kehlata Hai. The show has seen ups and downs of character yet the actors are recognised as YRKKH (Yeh Rishta Kya Kehlata Hai) characters what do you think connects the characters to the audience? > I think YRKKH has evolved over time but the texture of the show has remained the same. It kept the TRPs high. We have not played with gimmicks whenever drama is required. The dimensions have changed. The family setups have changed, interrelationships have evolved just as it has happened in India as well. So, what really connects is that every member of the family will find some connection with some character in YRKKH. > I have always said that the show is above everybody. There have been people who have not believed in the show and quit. There have been people who wanted to explore greener pastures, better opportunities. But I always feel grateful and I thank everyone who has been a part of YRKKH. The show must go on, for us what matters are the people who unconditionally stand for the show. > I think that is one thing that is identify-able, one thing that is very interesting in this journey of ten years. We have never had a nomination in a negative character in an award function. There have been characters whose angst and anger have been shown but in a justified manner. There have been grey characters but the reason behind their actions is justified. We have never had a dark shade character to get TRPs. 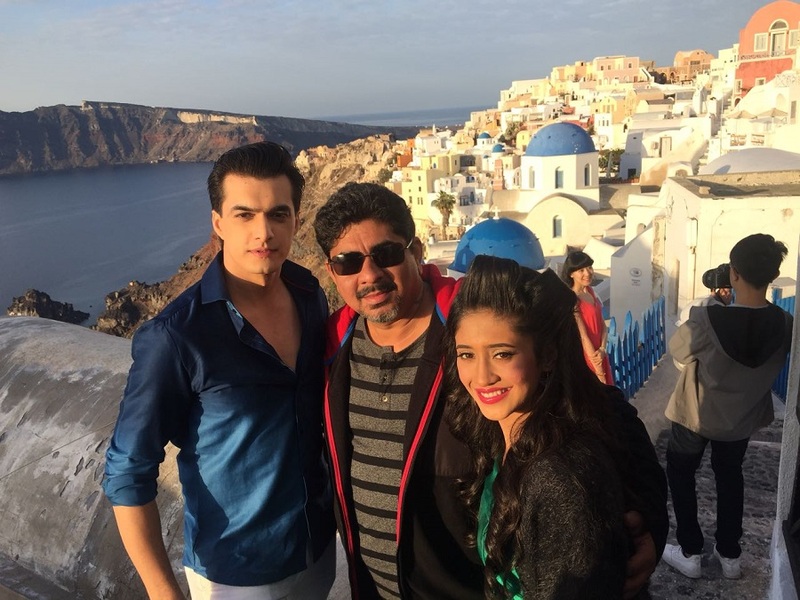 I think that has been one beautiful part in the writing and creating characters in YRKKH. > Yes, the romance has been retained and the way the romance has been portrayed has also been an interesting challenge for the team. The perception of romance, the idea of romance and the presentation of romance has always been a beautiful USP of YRKKH. > If I look back, the biggest challenge has always been to keep the enthusiasm alive on a day to day basis. Naturally there are production differences, creative differences, or differences within the artists. I think my biggest challenge is how to keep the team together. Having differences is very normal, it happens in a daily soap because of a huge star cast. There are bound to be day to day challenges and issues. I think my biggest achievement, without sounding arrogant, is how to keep the team together on a daily basis. In the same way, I will also say that no show will be possible if you don’t have the support and faith from the broadcasters’ side. So, Star Plus has also been a great support and partner in delivering my vision to the audiences. > One very important reason behind completing 2830 episodes are the audiences and the fans who are connected to the show. It is not that every track and character will be liked by the audiences and it is very healthy for the audiences to not like some tracks but we as makers are very conscious. We make sure to read every feedback because it helps us to understand your expectations from the show. This connect with the audience is the beauty of the show. We make sure to respect every opinion from the fans, be it criticism or appreciation. AND Sriti Jha's Instagram Followers Crosses The 1 Million Mark! The show which only had festivals and weddings and no story!!! !